CT Cash Homes LLC Need To Sell Your House Fast? We Buy Houses! You’ll Get A Fair Offer – You Choose The Closing Date. We Pay All Reasonable Costs! If you are currently trying to sell your home and are unable to find a buyer, your search is over. We buy houses in Connecticut that are unwanted by their owners in all manner of condition for a fair all-cash offer. Some of the most popular areas of Connecticut that we purchase from are Hartford County, New Haven County, Tolland County, Middlesex County, and New London County. We also provide cash for houses in the areas surrounding Connecticut including Rhode Island and Western Massachusetts. If you have an agent and they are unable to find you a buyer, you need not to worry because we will buy it. If we purchase your home, you no longer need to stress about cleaning up, repairing any damages, or deal with the hassle of having to wonder and hope that the sale will go through. After a fast and easy appraisal, we will provide you with an offer on your house. You will not have to worry or wait for financing to come through. We will be ready to buy right away. We happily take the pressure and waiting process out of the equation. We can provide you the cash quickly and, depending on if you have an agent or not and what their fees are, you may even come out with more cash than you expected. If you are looking to sell your house because of any financial reason such as trying to avoid foreclosure, you are up to your neck in mortgage payments, you owe more in liens than you can count, or simply just want to move to a new area, you have no need to worry, we will purchase your house from you. Did we mention that we buy them in any type of condition too? It does not matter to us if you live in it, if it is a property that you use as a rental, is vacant, or even if it is not livable. We buy property no matter the circumstance, even if the house has fire damage that you are unable to pay for. We have you covered. We are not another real estate company that is trying to help you sell your house. We are the ones who are buying it, along with other house all over the state and surrounding areas. We are focused on helping homeowners, who need to find a buyer, sell their homes quickly and without any hassle, games, or hidden fees. It is through our transparency and integrity that we have been able to become one of the most respected house buying services in Connecticut. Since we are professional house buyers, you are guaranteed to have an offer within 48-hours; and sometimes as quickly as right there on the phone after you call us. There are no obligations, and no pressure placed to make your decision immediately. Take the time you need to decide if it is right for you. When you have accepted our offer, you will get cash in hand by the time we close the sale. We here at CT Cash Homes are different than any other buyers. After you contact us and give us the property information, we will make you a fair, all-cash offer within 48-hours of receiving your information; and that isn’t even the best part. We never tell you when to close; YOU get to choose when you want to close. If you are looking to close quickly, we can wrap up the deal and get you the cash in as little as 7 days. To get started, you just need to give us a bit of information about your house and the situation that you are in. To contact us, simply fill out the form on this page, or give us a call at (866) 836-8663 for a faster response. It is our goal to make your life easier by getting you out from under the property that is causing you problems and stressing you out. We can do this by paying a fair and honest price for your house quickly. I had a house that I was unable to afford anymore. Mike made a fair offer with a quick closing so that I would not incur another month of expenses. He even advanced me part of the sale proceeds so that I would have enough money for moving expenses. Mike was able to make this very stressful time in my life much easier and I would recommend him. 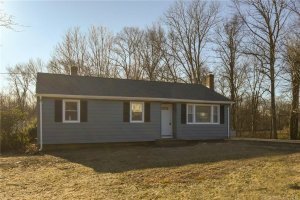 I inherited an investment property and started to try to fix it up myself so it could be rented. Unfortunately, I got in over my head financially and did not know what to do. Mike was able to quickly assess my situation and was not intimidated by the condition of my failed renovation. He as able to make me a reasonable offer on what my property was worth. We closed quickly and I was happy with my profits. Who are the cash house buyers in Connecticut CT?